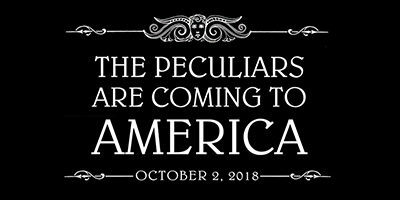 Dutton Books for Young Readers is publishing Ransom Riggs’ A MAP OF DAYS: The Fourth Novel of Miss Peregrine’s Peculiar Children on October 2, 2018. USA Today broke this news Thursday afternoon, when the national newspaper also unveiled the book’s cover art (see below) and spoke with Riggs about what fans can expect in this next installation of the internationally bestselling series. A MAP OF DAYS will have a first print run of 1 million copies. Here is an advance preview of A MAP OF DAYS’ storyline: Having defeated the monstrous threat that nearly destroyed the peculiar world, Jacob Portman is back where his story began, in Florida. Except now Miss Peregrine, Emma, and his peculiar friends are with him, and doing their best to blend in. But carefree days of beach visits and normalling lessons are soon interrupted by a discovery—a subterranean bunker that belonged to Jacob’s grandfather, Abe. 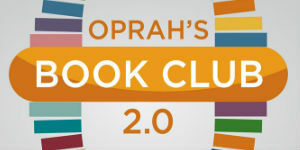 Clues to Abe’s double-life as a peculiar operative start to emerge, secrets long hidden in plain sight. And Jacob begins to learn about the dangerous legacy he has inherited—truths that were part of him long before he walked into Miss Peregrine’s time loop. Now, the stakes are higher than ever as Jacob and his friends are thrust into the untamed landscape of American peculiardom—a world with few rules—that none of them understand. All new wonders, and dangers, await in this brilliant new chapter for Miss Peregrine’s peculiar children. Their story is again fully illustrated by haunting vintage photographs, but with a striking transformation for this all-new, multi-era American adventure—full color. 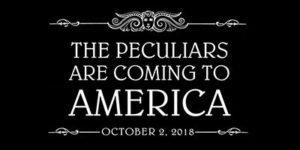 Published to wide acclaim in 2011, Miss Peregrine’s Home for Peculiar Children hit number one on the New York Times bestseller list, where it has spent more than 100 weeks. The series has sold over 10 million copies and been translated into over 40 languages. Tim Burton’s Miss Peregrine’s Home for Peculiar Children movie for 20th Century Fox landed at #1 in its opening weekend at the box office. Written by Jane Goldman (Kingsman: The Secret Service, X-Men: First Class), it starred Samuel L. Jackson, Eva Green (as the title character), Asa Butterfield, Ella Purnell, Judi Dench, Rupert Everett, Allison Janney, and others. 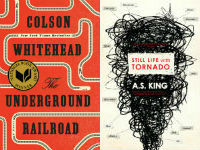 Fiction: THE UNDERGROUND RAILROAD by Colson Whitehead (Doubleday) YA Literature: STILL LIFE WITH TORNADO by A.S. King (Dutton Books for Young Readers) Congratulations to our authors, their editors and publishers. All winners will be honored at the NAIBA Conference Awards Banquet on Saturday, October 7, in Cherry Hill, New Jersey. 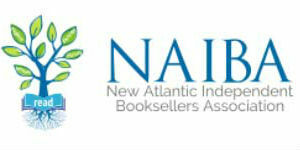 The NAIBA book awards recognizes authors who were born or live in the Atlantic states, and/or a book whose story takes place in the region. 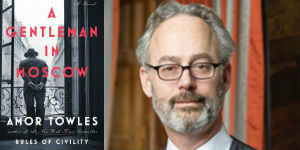 To view a complete list of the NAIBA Books of the Year winners, click here.